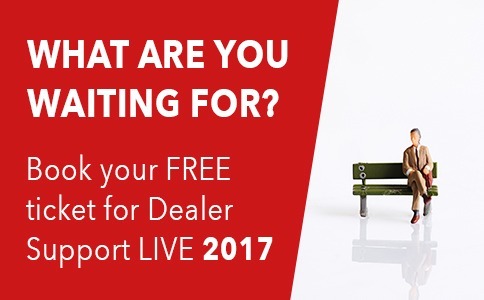 Dealer Support LIVE 2017 is just over a week away – and we thought you might like a flavour of what you and your sales team can expect to learn at the event. Telemarketing is a powerful tool; find out if you’re using it effectively? Is your lead-generation strategy effective? What works – and what doesn’t! Our popular leadership stream is back for 2017 – and this year we have a number of sessions that really focus on how to drive business and grow your business. You can expect sessions that present aspirational case studies from your dealer peers, as well as practical advice and valuable information from experts in their respective fields. Sessions are engaging and interactive; a mix of upskilling and discussion – they’re an opportunity to find solutions that fit your business. This is just a snapshot of the numerous sessions taking place at Dealer Support LIVE. Head along to dealersupportlive.co.uk to read more about the day’s programme. Dealer Support LIVE 2017 is returning to Leicestershire and the fabulous Jurys Inn Hinckley Island Hotel. The venue is easily accessed by road, no matter which direction you’re coming from. It’s just a 20-minute drive from Coventry, a 25-minute drive from Leicester and a 30-minute drive from Birmingham city centre. To simplify the process – and to make it as easy as possible for as many dealers to attend as possible – we’ve made advance tickets for this year’s event FREE*! All tickets include attendance to the day-long event, exhibition, lunch and refreshments.